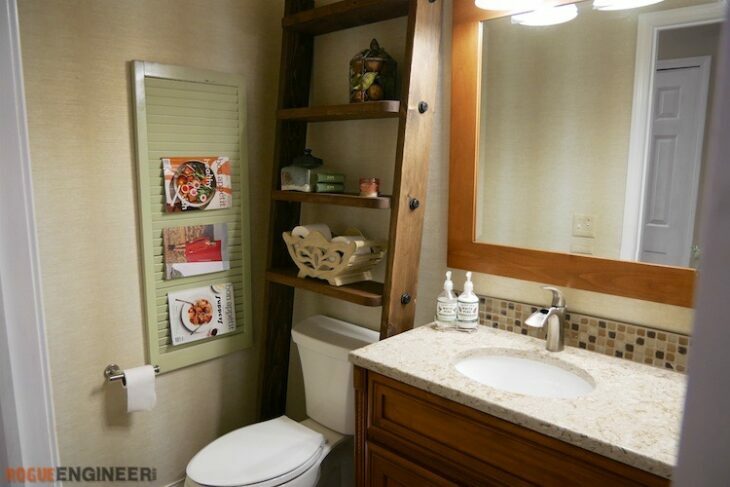 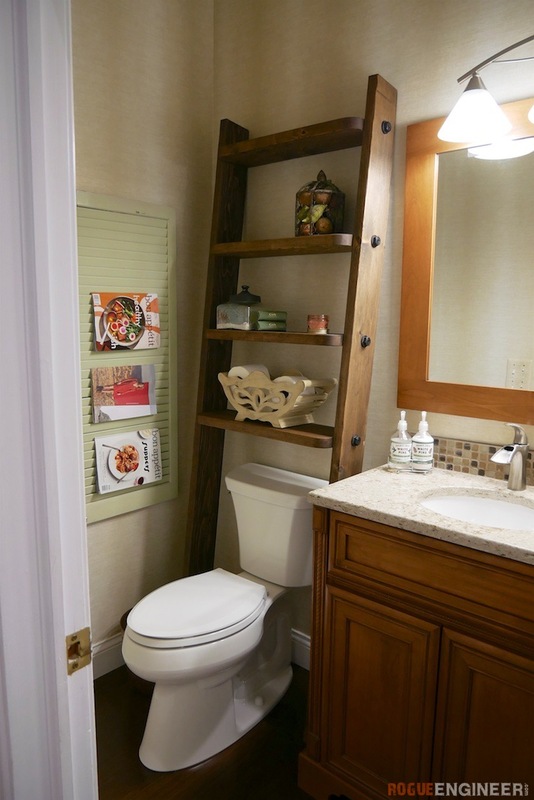 In an effort to get things like extra toilet paper, hand towels and accessories off the floor and to reduce the counter clutter in our guest bathroom, we decided to build a leaning shelf to add some storage space. 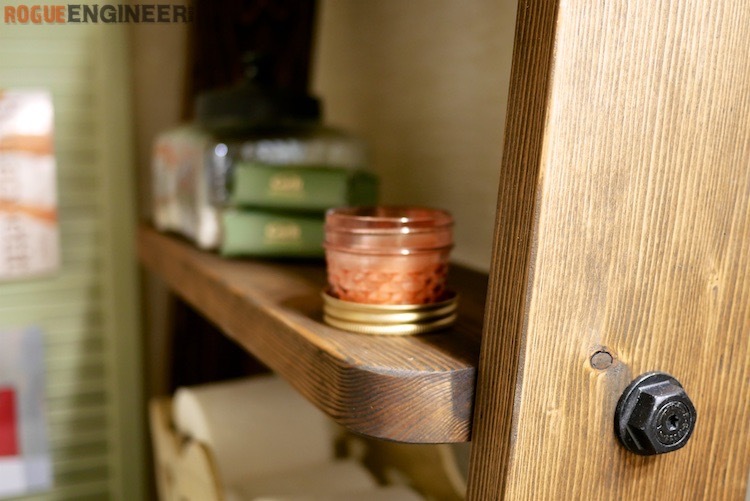 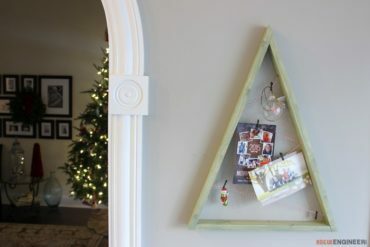 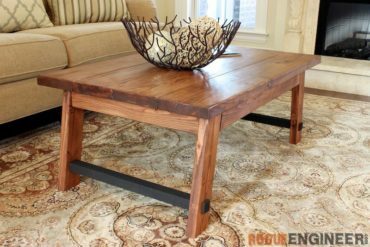 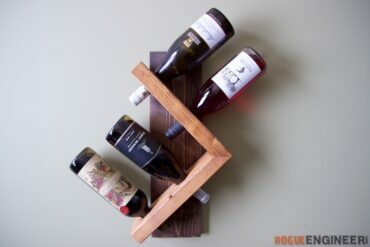 This was a quick and easy project that could be completed with only a few tools and three pieces of lumber found at almost any home improvement center. 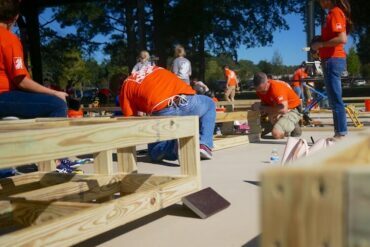 This project is sponsored by Simpson Strong-Tie so for the full plans head on over to the Strong-Tie blog.